Holi celebration without special nonveg dish is impossible. Now a days all are health conscious. A healty less oil less spicy I made Malai Prawn this Holi. 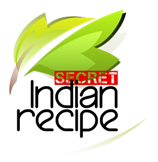 Sanghamitra Moh...'s Secret Indian Recipe ! Marinate Prawns with turmeric powder and salt. Keep aside. Heat pan add butter, fry the Prawns. Take out the Prawns and keep aside. In the same pan with leftover butter add dalchini, cardamoms and chopped onions. Add ginger , garlic cloves and cashew nuts. Fry till golden brown. Add all the ingredients in the previous step in grinder pot and make a paste out of it . Add oil in the pan , add green chillies then add the paste made . Add turmeric powder, chilli powder and salt to taste. Add the prawn saute for 2 minutes. Now add Amul cream and kasoori methi . Cook for a while. Garnish with coriander leaves and serve hot as you like . Caramel til chikki (sesame / til & s . . .
Rice pudding dessert tacos with fruits a . . .
दिवाली पर फ्लावर मठरी बनाने का आसान तरीक . . .
दिवाली पर बनाये खस्ता मठरी | khasta math . . .
रोस्टेड पोहा चीवडा बेसन फ्लेवर के साथ एक . . .
Nacho chips ghar me banaane ka sarsl tar . . .
मुँह मे घुल जाने वाली हेल्थी लेफ़्टओवर & . . .
"इन्स्टेंट आलू के चिप्स व उसका मसा . . .